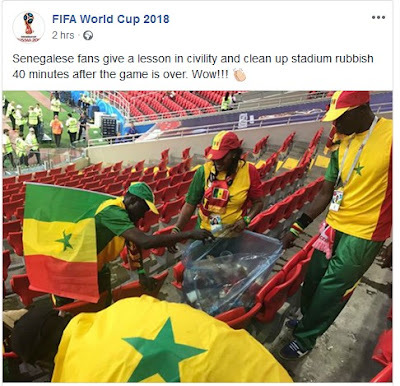 The Senegalese fans have been hailed after cleaning up the stadium 40 minutes after their game against Poland. 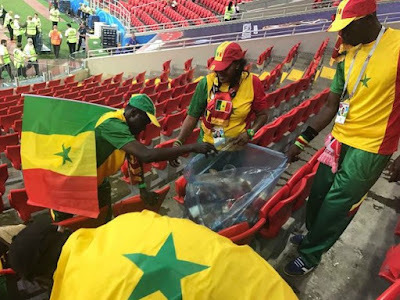 The fans showed their civil side by cleaning up the stadium joyfully as they celebrated Senegal's 2-1 win over Poland in their opening game of Russia 2018 World cup. Senegal recorded Africa’s first win at the ongoing tournament.